Back in July leading retailer Argos predicted the top technology items for Christmas. These included Playstation VR, Canon SX420 bridge cameras, TomTom Sat Nav and Fitbit Blaze. The Playstation VR has made it onto the top of my husbands wish list and in 2015 I saw Playstation VR in action and was really impressed. I can understand why it is the top of my husband's list. This year during Christmas in July several items have impressed me. During the Philips event I was impressed with the new range of Finding Dory lights with everything from nightlights to SoftPal. For gadgets in the home the Airfryer is a must have. It is quick and simple to use and would really help with some of the Christmas dinner too! Fujifilm are adding two new colours to the INSTAX Mini 70 range, passion red and midnight black. I loved these cameras, with auto exposure control, selfie mode and self timer, all housed within a sleek, compact and modern looking body. Perfect for both serious photographers and those just wanting to capture the everyday. 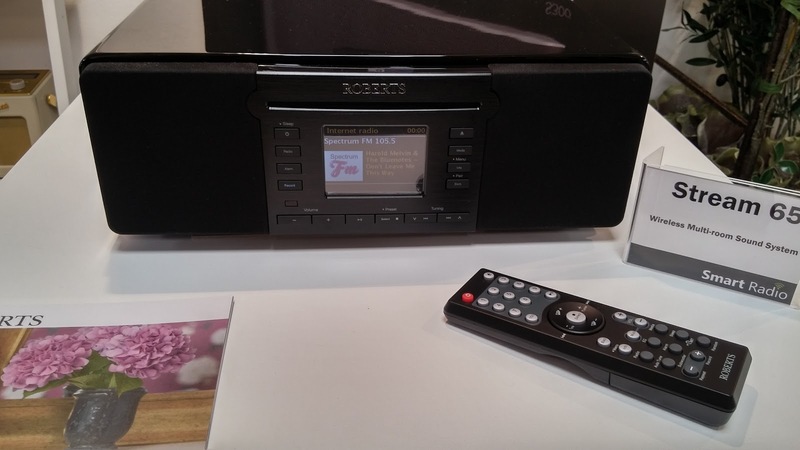 Roberts radios are launching new products for Christmas. Their award winning radios are stylish and packed with a host of features. Roberts radios is a well known name and is one with trust and good quality associated with it. A Roberts radio would be a wonderful gift and one built to last. One of my favourite Christmas in July events for technology was Currys PC World. Whilst they had a huge range of tech on display my favourite was the Star Wars Sphero BB-8. I loved how easy he was to control and it was so much fun watching him zip around the floor. This is sure to be a high sort after piece of tech for Christmas. Gtech have launched two new products in time for Christmas. The new AirRam and the New Multi. The Multi features better suction and a new K9 version which comes with scents to help reduce pet odour. The new AirRam is very impressive. The new AirRam is modular and can be assembled in under 20 seconds. Each piece carefully engineered to work together and slot into place. This makes it better for storage if you struggle for space, or if you needed to replace a part you do not need to replace the whole unit. The handle now slides so you can store the handle in a lower position, which is a great new feature. The suction power has been increased and thanks to clever technology will now pick up even more from gaps between tiles too. I love how it is now able to clean on both the forward and backwards motion, and backwards works better for cleaning between spaces with no loss of suction. The new AirRam now tackles a change in surface with ease, and adapts as you move it along the floor. The battery can now be removed for charging, so no need to have the whole unit stood out of the cupboard whilst charging. There are now lights on the front of the AirRam which make it easier to see those darker areas on the floor, it actually highlights pet hair really well. My favourite aspect though is how easy it is to empty. The bin simply slides out of the main unit and is emptied with a clever slider. This means that no dirt is left in the bin and the dirt simply slides out in one compact piece. I am incredibly impressed with the new AirRam and all the advancements over the original. The AirRam also comes in a AirRam K9 model. This features slightly stronger suction and an air scent to help remove pet odours, it also has an extra spare filter in the box. I will be adding a video of the new AirRam shortly. I have not been asked to write this guide, I attended the Gtech launch but was not asked to write about the new AirRam I simply really liked the new products.